Recognizing the profound threat of climate change, on January 29, 2019, Middlebury announced a 10-year commitment that will put the institution on a path toward a complete shift to renewable energy to power and heat its central campus. The plan also sets ambitious goals to reduce energy consumption, to phase out direct fossil-fuel investments in the endowment, and to create new educational programs and opportunities that will help empower future generations of environmental leaders. Middlebury will transition to 100 percent renewable energy sources, not derived from fossil fuels, for electric and thermal power for its core Vermont campus by the end of 2028. Middlebury will shift to using renewable natural gas and eliminate the use of natural gas, a fossil fuel, as a supplemental energy source for its on-campus biomass-gasification plant. That plant already meets most of the campus’s heating and cooling needs and cogenerates 15–20 percent of Middlebury’s electricity needs. Middlebury intends to reach 100 percent renewable electricity usage by increasing its investment in solar and, possibly, hydro power. Middlebury will seek, wherever possible, to make those investments in Vermont. Middlebury intends to reduce energy consumption on its core campus by 25 percent by 2028. The reduction will come from changes to campus infrastructure, including renovating and updating several large academic buildings, as well as behavioral changes. The plan also calls for improved energy-use monitoring across campus. The institution is considering the introduction of an internal carbon tax on certain activities with a high carbon impact. The tax would fund conservation projects and encourage more thoughtful consumption behavior. Beginning in mid-2019, Middlebury’s investment manager, Investure, will not directly invest any new dollars on Middlebury’s behalf in specialized private investment funds that focus on fossil fuels. Middlebury, in collaboration with Investure, will begin a phaseout of direct fossil fuel investments in the endowment that will reduce the value of those investments by 25 percent in 5 years and 50 percent in 8 years and, within 15 years, eliminate such investments entirely. Middlebury and Investure have established realistic and reasonable reduction targets to ensure the phaseout does not significantly impact the performance of the endowment. 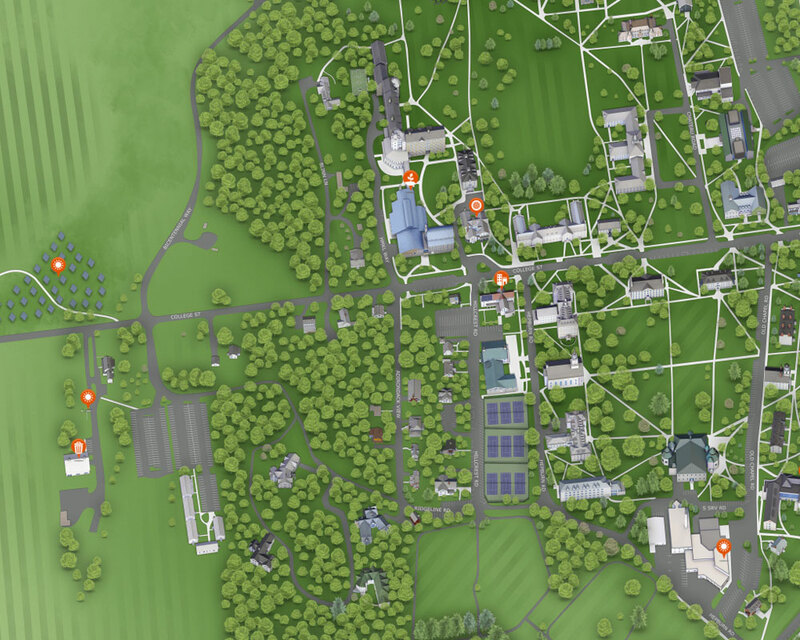 Middlebury will engage faculty, staff, and students across all of its schools and programs in educational and research opportunities that will help influence the plan’s execution and its continued evolution. Middlebury faculty will lead in making immersive, experiential education an essential part of Energy2028. Opportunities will include experiences in the classroom, lab, and field and with community partners, providing students with opportunities to address today’s most challenging problems in meaningful ways, and to understand the tradeoffs inherent in energy decisions.